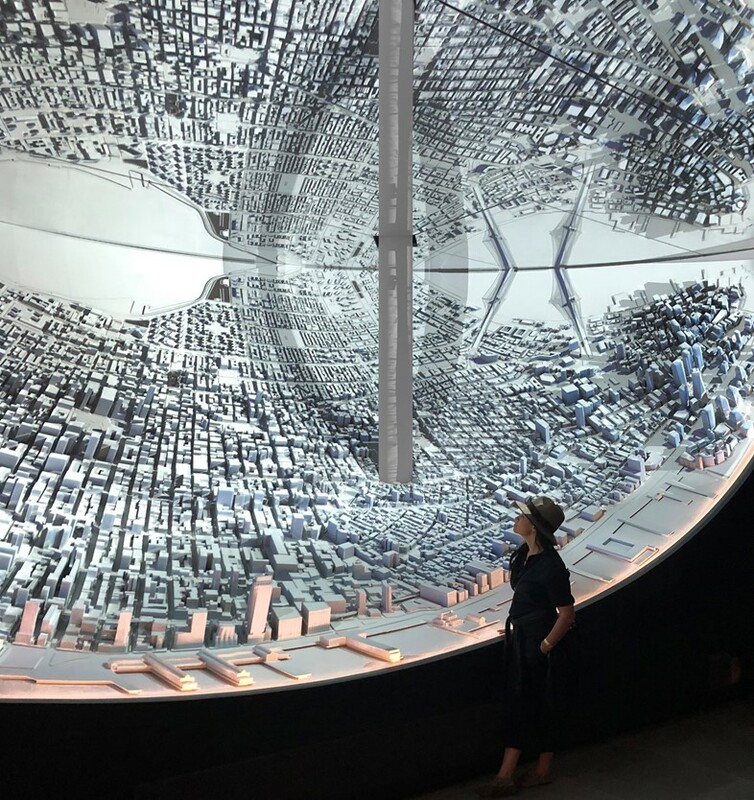 Es Devlin is the artist and designer behind some of popular culture’s most jaw-dropping installations. 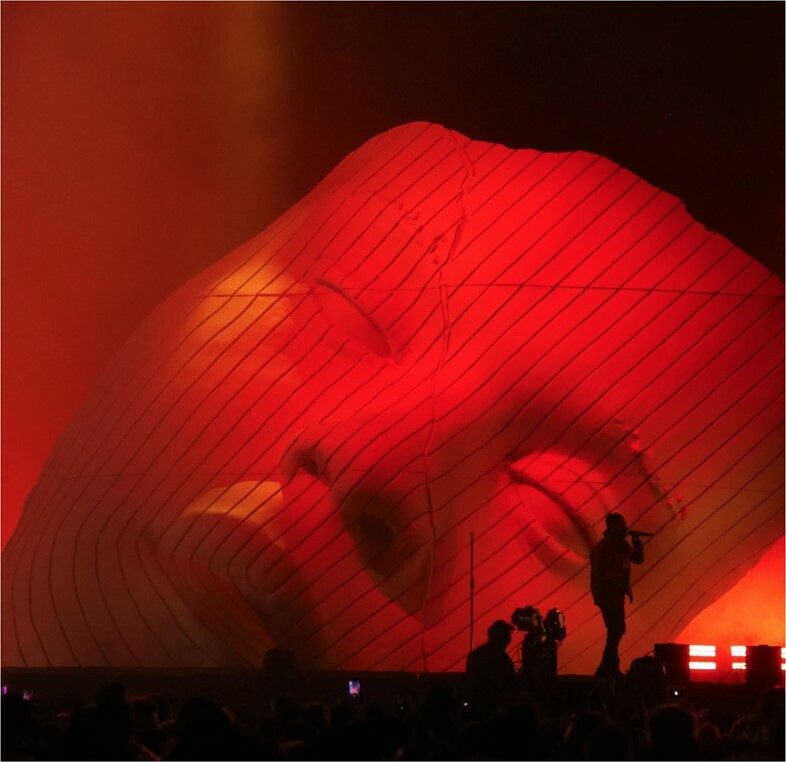 Throughout her career she has turned the heads of millions of music, fashion theatre and sports fans, working on set and production design for the likes of Beyonce, Jay-Z, Kanye West, Miley Cyrus, Louis Vuitton, Lady Gaga, the 2012 Olympics, Hamlet, Carmen, and Faust, to mention just a few. Since collaborating with Nicolas Ghesquière on SERIES 3 during London Fashion Week 2015, her work has shifted toward the sculptural, finding equal poetry in both voyeurism and interaction. In September 2018, following a year-long collaboration with Google Arts & Culture, Devlin unveiled Please Feed The Lions, created for London Design Festival. By daylight, an evolving collective poem played in the mouth of a fifth, red new lion in Trafalgar Square. By night, the poem was projection-mapped over the lion and onto Nelson’s Column itself. We asked the artist and designer to consider her role as a creator of performance. “I have been walking through Trafalgar Square since I was a teenager. I grew up in Sussex and Kent and my route into London was via Charing Cross Station. I used to come up on the train every Saturday for music classes and on my way home I would walk through Trafalgar Square. In my memory there was always a crowd, usually chanting, sometimes singing: from anti-nuclear demonstrations to poll tax protests, and from Pride marches to New Years Eve celebrations. I wasn’t aware of it at the time but I now realise that through the journey to my music lessons I was inadvertently witnessing and learning the polyphony of democracy in action. “To be honest I hadn’t given the lions themselves much consideration until the design guru Sir John Sorrell and I walked past them this time last year and he invited me to consider making a work for this year’s London Design Festival. I started to consider the lions themselves as depositories of layered memories, their bronze skins absorbing one-and-half-century’s worth of voices since they were cast in 1867. A question for the public began to formulate itself in my mind: These lions have been sitting, silently witnessing every gathered voice in this square for 150 years: if one of them could open its mouth and speak today, what would it say? “My practice has evolved quite significantly over the past three years. In 2015 I collaborated with Nicolas Ghesquière on a large scale installation at 180 The Strand called SERIES 3. We decided to translate a 12-minute fashion show into a 22,000-square foot installation in which the audience became the protagonists. “I think this project instigated a shift in my perspective and led to my first large-scale solo sculptural work in 2016: MIRRORMAZE in Peckham in 2016. The audience in this work began within the clear terms of engagement as viewers of a short film. 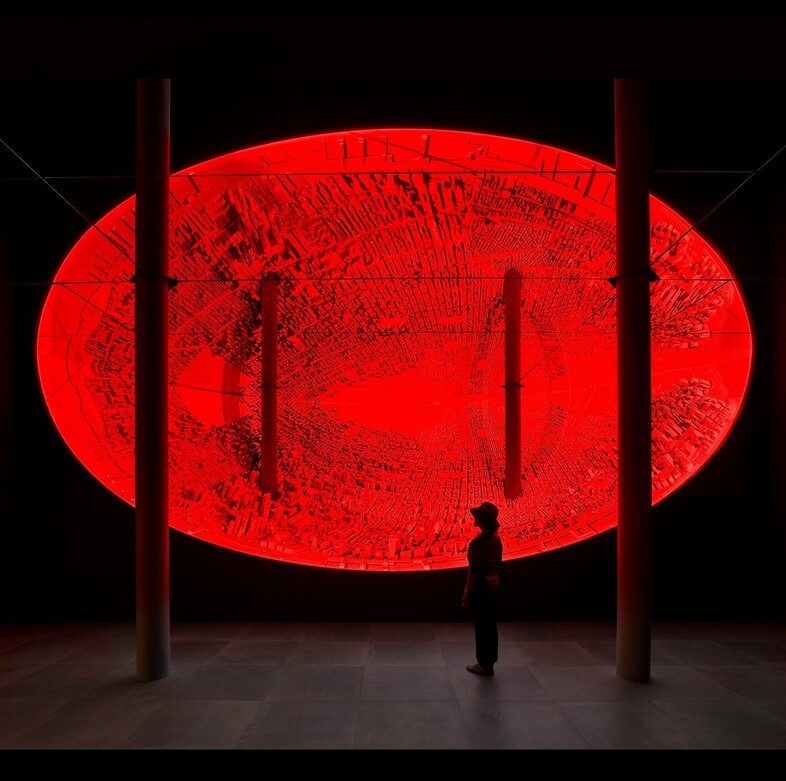 The rules shifted as they were invited to walk through a hole in the film and script their own way through a labyrinthine sculpture.